Exclusive to Nikon cameras, the NEF is Nikon's RAW file format. RAW image files, sometimes referred to as digital negatives, contain all the image information captured by the camera's sensor, along with the image's metadata (the camera's identification and its settings, the lens used and other information). 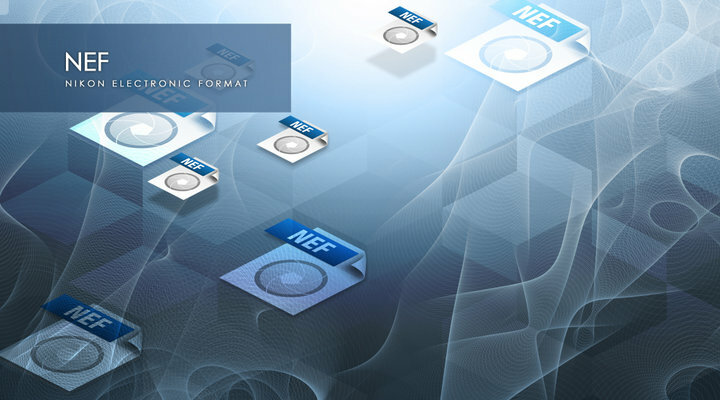 The NEF file is written to the memory card in either an uncompressed or "lossless" compressed form. The primary benefit of writing images to the memory card in NEF format rather than TIFF or JPEG is that no in-camera processing for white balance, hue, tone and sharpening are applied to the NEF file; rather, those values are retained as instruction sets included in the file. You can change the instruction set as many times as you like without ever disturbing the original image's RAW data. Another benefit of the NEF file is that depending on the camera, it retains 12-bit or 14-bit data, resulting in an image with a far greater tonal range than an eight-bit JPEG or TIFF file. After-capture processing of the NEF file by Nikon's Capture NX2 software, or other imaging programs, offers greater control over the final image than the processing of a JPEG or a TIFF. After processing, the NEF file can be saved as a TIFF, JPEG or again as a NEF with the addition of any applied Capture NX2 processing saved inside the file as a second or alternate instruction set. As long as the original NEF file is preserved, the "digital negative" remains untouched; processing a NEF file does not alter the original instruction set. Nikon's RAW file format contains all the image information captured by the camera's sensor.